Ted loaded up the pigs Sunday evening and put the trailer in the barn to keep them warm and dry. The goal was to go straight to the butcher shop early Monday morning before work. Unfortunately, we didn’t realize that they didn’t open that early. Luckily, I found out before we left because I checked online. 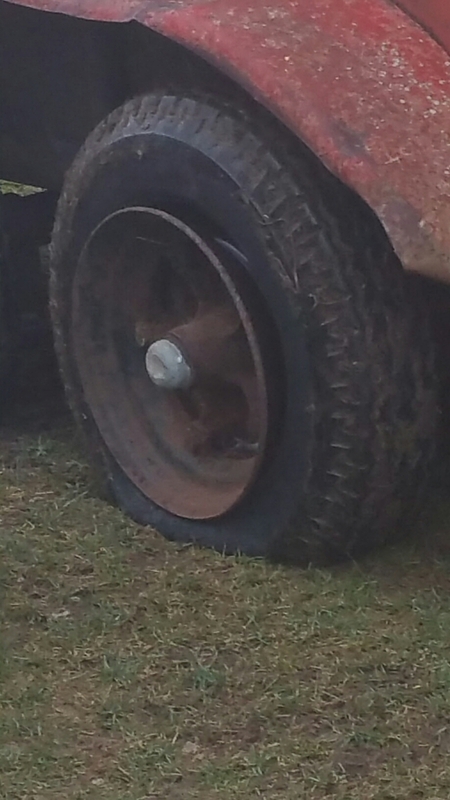 Both tires on the right side of the trailer were completely flat and coming off their rims! I’m so glad I saw this before we got out on the road with them. That would have been awful. He started looking at the tires to see if he had replacements in my dad’s garage, and that’s when he realized that these are actually mobile home tires and only rated for about a thousand pounds. 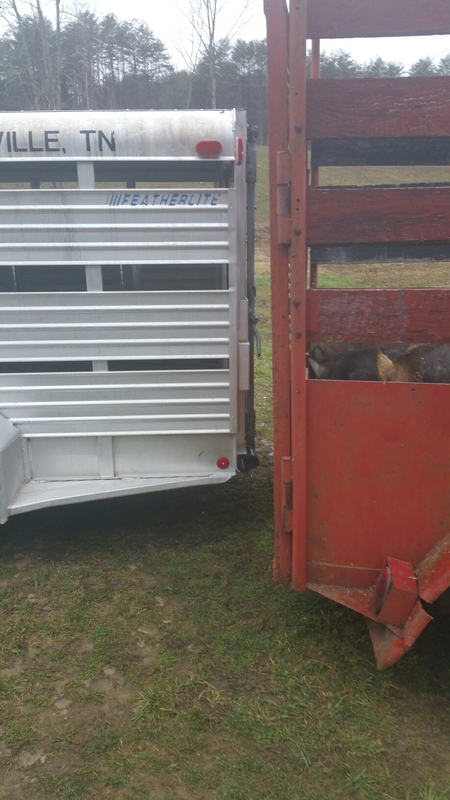 We had at least 1,000 pounds between the four pigs and the trailer not to mention 50 gallon water tank he had in there for them that was almost full. We were not going to be replacing those tires quickly. I called my dad, and he was at the dentist. He also did not have tires we could use to quickly change them, but he thought of calling a neighbor down the road who also farms to see if he had a trailer we could borrow. He did! 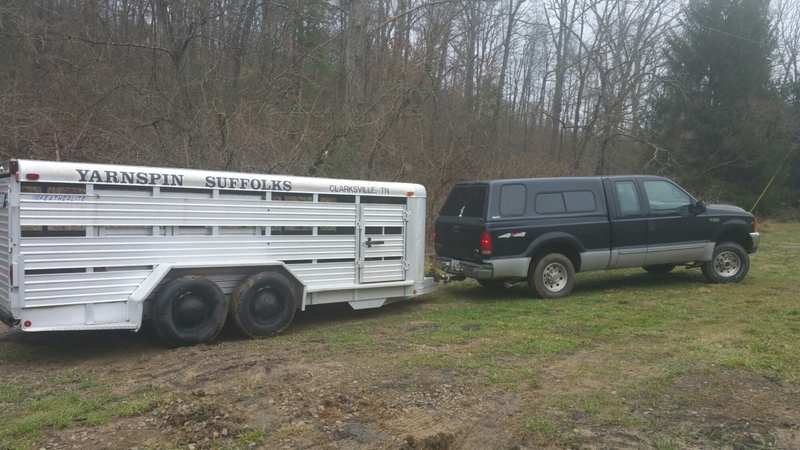 He said for us to just bring his pickup already attached to his trailer back over to our farm and load the pigs in his to get them up to the butcher shop. 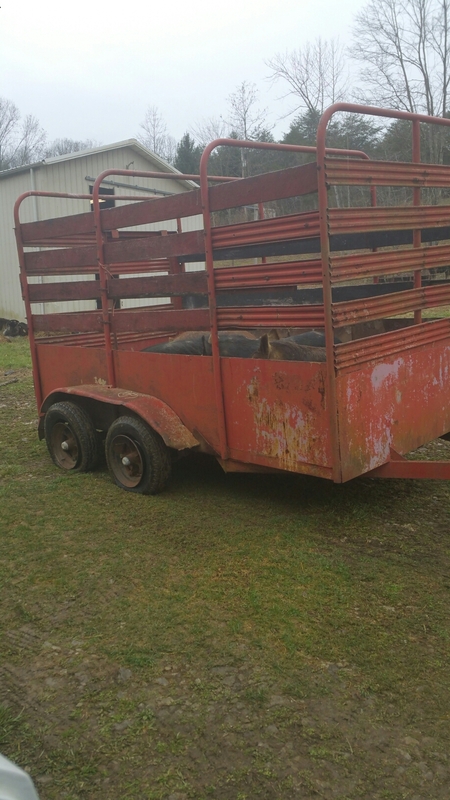 Ted did a lot of fancy maneuvering back and forth with that truck and trailer once we got back to our farm, but he literally lined those trailer doors up about 1 inch apart was all, and when we open the trailer doors, the pigs just ran right over into the other trailer. They are very curious animals. Thank goodness for great country farm neighbors! I’ve said it before, and I will say it again: I never want to live anywhere else but the country! If you are looking for goats for your child for 4-H, make sure you give Mike Johnson (our very nice neighbor who helped us out) a call! He has a lot of beautiful kids for sale, and most of the children around here take home prizes when they have one of his goats to raise and show at the county fair in July. He’s also one of the nicest people that we know around here. He is always willing to help out, no matter what.